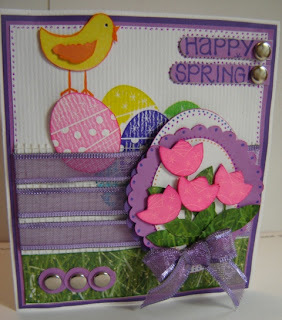 Cards by America: Happy Spring Fling! 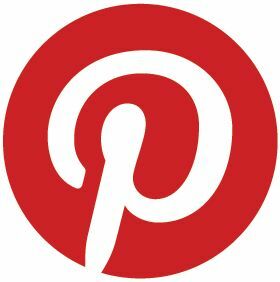 This was made using the Stampin' Up! set called Spring Fling - which had never seen ink since Ive had it. LOL Its just so darn cute.... so Im happy to have finally brought it out of storage. I tried to give this a dimensional look by applying the egss behind the netting (Carpet Tape) that you see underneath the purple metallic ribbons. Also used heavy patterned watercoloring paper for background. Designer paper of grass photos is applied to the bottom of the card. I stamped the leaves of the flowers onto the same photo paper then cut & glued onto flower bottoms. The flowers are double layered with glue dots for added dimension too.